Is your NOVA sump pump working? Here in Northern Virginia we haven’t seen the sun in days and thanks to Hurricane Joaquin (how do you pronounce that anyway?!) it will be a few more before we feel those warm rays. The DC metro area is expected to receive an additional 2-4″ of rain this weekend, with the saturated ground, NOW is the time to check your sump pump if you haven’t already. Just how does one check the sump? The easiest way is to override the float and listen to hear it kick on. Don’t worry, it’s super simple to do. 1 – locate your sump pump – while not every home has one – if you do it is on the lowest level of the house. 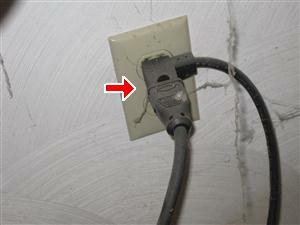 Typically in a utility room, near the HVAC or hot water heater. If you hear the pump kick on and some water moving, you are golden. If you don’t hear anything, don’t panic. There are many reasons it might not be turning on….it could be something as simple as the outlet not working. Give AGC a call at 703-574-3478 and we will be happy to help troubleshoot and get you connected with the right people to help you weather the storm. Please be safe driving and if there are heavy winds stay clear of windows, glass doors, and skylights.